The Dark Horse Series boards are thoroughbred race machines, they’re built for going fast. International races are often held in flat water conditions. these boards are designed specifically for this purpose. 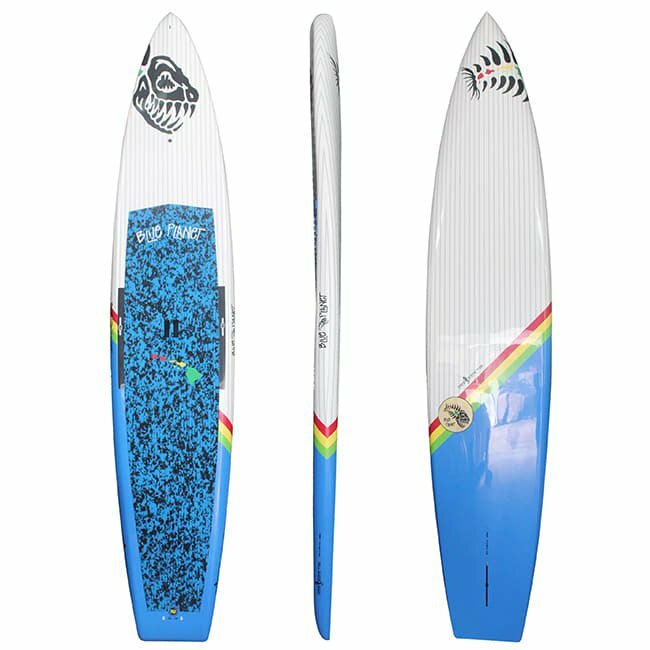 This range is a direct result of meticulous testing and Blue Planet team rider feedback. This board comes with a FREE Blue Planet boardbag according to your board’s specific dimensions and a center fin! The sharp piercing bow and soft entry rails are designed to displace water efficiently with the least amount of friction. The wide tail and optimized rocker line is designed to allow water to release smoothly off the rail to minimize the wake. The Dark Horse has the speed and glide that will allow you to break away from the pack or beat your personal records when going for long training paddles.